It is very sad that I now require someone to take over shopkeeper duties from me. I'm currently a staff member on another forum site which keeps me very busy and cannot keep an eye on this site. Because the forum shop host closed, all sales can be carried out directly from the site. 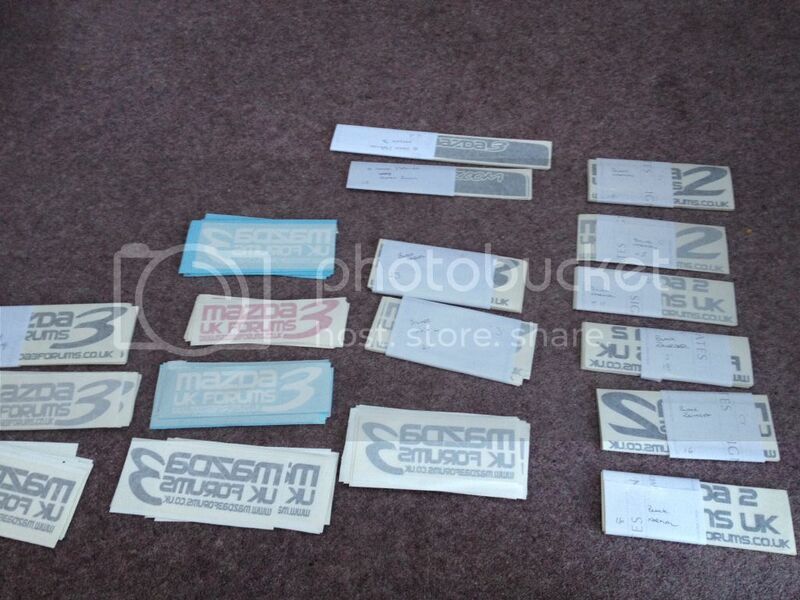 I will provide a list of all stock, including decals for both Mazda 3 and Mazda 2, plus wooly hats. I will work out a price for all stock later. Anyone interest can PM me. Ok so I have 176 Mazda 3 stickers and 77 Mazda 2 stickers. Forget about the Mazda 2 ones as I've only every sold 1. So if interested you can have the whole stock 176 x 40p = £70.40. All the Mazda 2 stickers you can have for free. We were selling the stickers for £4.50 inc postage. It cost a lot more to produce the stickers, but I'm not interested to getting my money back. £60 is a good price to take everything.